Shown below are free ads available in Property for sale, St. Catharines-Niagara. You will find classifieds for sale and to buy. Please click a classified ad below for more details or to reply to it. You can use search box above to find other items for sale or services offerings in category Property for sale in St. Catharines-Niagara or look in the St. Catharines-Niagara neighborhood. Immaculate 3 bedroom ranch bungalow with carport and concrete driveway. Completely renovated with new bathroom modern and open concept kitchen granite counter top, refinished rich gleaming hardwoods, new electrical and plumbing pot lights doors and trim and all fixtures. Basement contains laundry and storage. CALL DALE MUNDI 4163131313 @4162131313 REAL ESTATE HUT REALTY INC .BROKERAGE 7895 TRANMERE DRIVE.SUITE 201B MISSISSAUGA ONT WWW.DALE MUNDI.COM EMAIL: DALEMUNDI@GMAIL.COM #DALE# MUNDI#. ESTATE SALE! 1.5 STOREY HOME W/25X24FT. DETACHED GARAGE IS READY FOR YOUR PERSONAL TOUCHES. MAIN FLR BEDRM PLUS 2 UP. EAT-IN KITCHEN. HRDWD FLOORS IN SOME ROOMS UNDER CARPETING. FIRST FLOOR WINDOWS UPDATED. PARTIALLY FINISHED BSMT W/POTENTIAL REC RM AREA & A SHOWER IN THE LAUNDRY RM. FORCED AIR GAS FURNACE REPLACED IN 1995. 18.6 ACRES OF PRIVATE TREED LAND. THIS 2 YRS YOUNG, 2800 SQFT, 2 STY W/PRIME QUALITY THROUGHOUT, BEAUTIFULLY LAID OUT, OPEN CONCEPT, MAPLE HDWD FLRS THROUGHOUT MN & 2ND FLR. CERAMIC IN BATHROOMS. MAIN FLR MBR W/ENSUITE & WALKIN CLOSET. MAIN FLR OFFICE & LAUNDRY, HIGH BSMT W/WALKOUT TO GRGE. LRG NEW DECK OFF DINETTE. Great office building most recently used as a physician's office. 4 exam rooms, reception area, offices, lab area, 2 lavs. Upstairs has 2 rooms & a full bath. Ample parking. Handicap accessible. All on highly visible street. Building in wonderful condition with updated mechanics, roof & brick exterior. THIS WELL MAINTAINED & CARED FOR HOME IS PRESENTLY SETUP AS A DUPLEX, BUT EASILY CONVERTED BACK TO A LRG SINGLE FAMILY HOME W/5-6BRS, 2 FULL BATHROOMS & UNLIMITED POSSIBLITIES. NEED EVEN MORE SPACE? PULL DOWN STAIRCASE LEADS TO A FULL ATTIC USED FOR STORAGE & COULD BE FIN`D INTO ADD`L BRS OR REC RM. NICE SIZED REAR DECK OVERLOOKS A HUGE FULLY FENCED BACKYARD WHICH IS PERFECT FOR ENTERTAINING, OR A SAFE PLACE FOR YOUR CHILDREN TO PLAY! UPDATES INCL 200 AMP SER. This is a one story, 15, 400 sf, high quality medical building constructed in 1990 for the current ownership. The property is fully leased but the owners would relinquish their 3, 411 sf suite for an owner user..
Prime Business location with totally renovated apartment upstairs. Updates include 2 furnaces, hot water tank & windows. Bring your business to this great location..
Welland, 10 ACRE COMMERCIAL PROPERTY! 10, 000 sq. 10 ACRE COMMERCIAL PROPERTY! 10, 000+ sq. ft building on 10 acres of landscaped grounds. 50' x 80' shop with 18' ceilings & 4-14' power doors. 400 amp service. Lots of heavy duty paved parking. Hrdwd flrs in offices. Man-made lake w/dock. Easy hwy access. $825, 000Find homes for sale at HomesAndLand.com. Immaculately like new 2 story in a prestigious neighbourhood w/numerous updates. Gorgeous Florida sunroom addition leading to raised deck & interlocking brick patio. Gleaming hardwood in LR/DR and FR, gas FP, whirlpool tub, C/V, upgraded high efficiency gas furnace and much more. Just move right in. 4135 Highland Park Drive PrivateRealEstate. 7.04 Acres Of Land With 25, 000+ Sqft Building Zoned Agricultural /Commercial In Green Belt Area. Please Verify Zoning; Limited Permitted Uses For This Property (Buyer To Satisfy Themselves ).Close To Major High Ways And Residential Communities.Deteriorated Home On East Side . Extras: Currently Rented (One Tenant & Paying $1390. 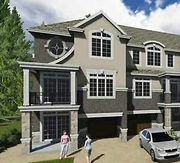 Visit www.10cosby.com for more pictures and feature sheet Well kept 1.5 storey 900 sq ft. home in the northend. Perfect for first time buyers or retirees. Larger then it looks with 4 bedrooms, 2 up stairs and 2 down stairs with one of the bedrooms being used as an office. This house has no basement so there is no water or foundation concerns. GREAT FAMILY AREA! ATTRACTIVE 4 LEVEL BACKSPLIT WITH BRAND NEW NEUTRAL PAINT, CARPET, CERAMIC TILES & LIGHT FIXTURES ALL DEC.`09, HIGH EFF. 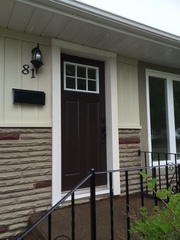 FURNACE AND A/C OCT.`09, ROOF 3 YRS, MAIN BATH ALL REDONE`09, CLOSE TO SCHOOLS AND HWYS, NICE MOVE IN CONDITION.CALL KELLY DIRECT FOR YOUR TOUR 905-323-7037 OR 905-641-1110. Amherst St. compound w/ much to offer - 2 storefronts on busy Amherst St. near Elmwood. A single famiy home is attached w/ many updates, needs completion. Master bedrm, walk-in closet, mechanical updates. A rare find with endless possibilities..
Be sure to take a look at this immaculate 4 bedroom colonial in country location in the town of Lockport. Features are too numerous to list, but a few include a year-round heated Florida/Sun room off the family room; family room has wood-burning fireplace, large eat-in kitchen with granite countertops and newer light oak cabinetry; huge dining room, extra large living room with wood-burning fireplace equipped with gas logs. Buy This Home and We'Ll Buy Yours!! VRP Pricing. Sellers will consider offers between $250, 000 and $280, 000. Great opportunity, 3152 sq ft new build presently under construction. Entryway leads to formal DR formal LR w/FP. Gorgeous vaulted ceilings w/skylights 10, 12, ceilings in every rm.Huge eat in kit, mstr BR w/walk in closet BA.Full BA on main flr bsmt, 1st flr laundry, doorways are at least 36 wide. Related Links Residential Commercial National Fine Homes New Home Construction Waterfront Properties Open Houses Foreclosures Agents/Offices Contact Us Featured Properties $724, 993 Orchard Park, NY Maureen Berbary Contact Agent Remarks THIS PERFECT CUSTOM BUILT COLONIAL IS READY FOR YOU TO MOVE IN. GOURMET KT WITH CHERRY CABINETS, CENTER ISLAND, BRAZILIAN CHERRY FLRS AND ALL APPLIANCES. Double converted to a single family 6 BRs, 2 full baths, new furnace, vinyl windows, HWT in 06', Roof in 05' Rent $900.00/m0. Call Richard Cositore at (716) 228-XXXX for more information!. 227 Christmas Street, newly renovated 3 bedroom home, full partially finished basement, 100 amp service, 50 x 150 lot, 2 car detached garage, great quiet neighbourhood to raise family... estate just wants to sell asap so we can go south for the winter. We all have our own homes so it is selling for below market value. Nice 1300+ sq. ft. 3 bed, 2.5 bath home. Currently rented for $700/mth. Rent includes all utilities. Nice room sizes. See today! *Property Management Services Available* Call WNY Star Realty at (716) 692-STAR or visit our website at www.wnystar.com. DEREK ABRAHAMS sales rep. Re/Max Garden City Realty Inc. Brokerage 905-641-1110 Just Sold this brick bungalow w/garage, dble paved drive, '07 roofing, '08 furnace and c/air, '09 patio in fenced backyard, '08 laminate flooring in 3bedrms, hall, livingrm & diningrm, newer kitchen ceramic flooring, countertops & backsplash, full unfinished basement with 2nd kitchen area and rough-in bathroom. Immaculate Well Maintaned Home Move Right In Spacious Floor Plan Extra Large Garage 25 X 22 Many Updates, RooF ( 3-5 Years old ) Ceiling Fans Throughout Nice Skylights in Stariway. SMALL STRIP PLAZA LOCATED ON SOUTHEND OF WELLAND WITH 4 OWNER OCCUPIED SMALL BUSINESSES WHICH HAVE BEEN OPERATING FOR OVER 30 YEARS. CONSISTS OF A CARWASH (AUTOMATIC & SELF SERVE), LAUNDOMAT, VARIETY STORE, (CURRENTLY HAS COMMERCIAL COOKING INSTALLED) AND VIDEO STORE (WHICH CAN BE SUBDIVIDED AS IT HAS TWO STORE FRONTS) RUN THE BUSINESS YOURSELF OR RENT THEM OUT. This New Home by the Ryan Homes-BUF Builder, is in the Summerfield Farms community at Avian Way, Lancaster, NY 14086. This Single-Family Property has the Bainbridge Plan with 4 Bedrooms, 2 Full Bathrooms and 0 Half Bathrooms, in a 1-Story Residence, an ap. Great investment opportunity here! 4 unit property in Riverside area. Newer furnaces. Full basement and attic. Nice room sizes. 2 car garage and concrete driveway. Nice fenced yard. See today! Call WNY Star Realty at (716) 692-STAR or visit our website at www.wnystar.com. Very well maintained home, move in condition. Many updates Furnace 07, Kit.floor 07, Dishwasher 08, Generator 06, New Attic insulatio 04, Pella Sliding Doors 08, Pella Windows 93, Roof 97 complete tear off, Florida Room 94. Living Room has Large Bay Window, Whole house surge protector, Security System, Air Cleaner on furnace, Shed in back yard has electric. Commercial Building Lot for Sale. Has house on property. Neighborhood has changed to business area from residential. Great area for a business, on two main Streets. House is up datable and also can be used.. REDUCED!!!!!! !download winzip if needed....then copy and paste the http:// link into your address (browser) and hit enter or search to see the power point. Includes the following upgrades: 1. new driveway resurfacing 3. new mulching (all sides) 4. new interior paint 5. Open to buyers suggestions to suit buyers requirement http://www. Affordable 3 bedroom bungalow with some updates. Over 1300 sq. ft. Spacious bedrooms. Nice open porch. Owner looking for a quick sale. See today! Call WNY Star Realty at (716) 692-STAR or visit our website at www.wnystar.com *Property Management services available*. David Witczak | Metro Roberts Realty | XXXX@gmail.com | 716-602-XXXX 4462 East Highland, Hamburg, NY Retail/Commercial offered at $269, 900 Year Built 1973 Sq Footage 1, 568 Floors 1 Parking Car garage Lot Size 35, 513 sqft Maint $0 per month DESCRIPTION LET THE PLAZA TRAFFIC GROW YOUR BUSINESS!DOCTORS, LAWYERS, ANT PROFESSIONAL OFFICE WOULD WORK WELL!ALMOST 1 ACRE CORNER LOT ZONED (C3). Canada free classified ads for Property for sale, St. Catharines-Niagara, Property for sale free ads St. Catharines-Niagara, Property for sale for sale St. Catharines-Niagara, Property for sale to buy in St. Catharines-Niagara. This page is a search result of classified ads for Property for sale category in St. Catharines-Niagara. This listing includes classifieds for sale and to buy in St. Catharines-Niagara. If you posted an ad on Property for sale, St. Catharines-Niagara before please use Edit my ads button to change or cancel your advertisement. Property for sale St. Catharines-Niagara ads St. Catharines-Niagara, Property for sale classifieds St. Catharines-Niagara, Property for sale free ads St. Catharines-Niagara, ads for sale St. Catharines-Niagara, ads to buy St. Catharines-Niagara, FREEADS in Canada. Find here ads for sale, to buy and rent in St. Catharines-Niagara. Goods for sale in St. Catharines-Niagara, vehicles for sale in St. Catharines-Niagara, St. Catharines-Niagara real estate for sale, St. Catharines-Niagara property for sale, property for rent in St. Catharines-Niagara, business ads in St. Catharines-Niagara, St. Catharines-Niagara business classifieds, services in St. Catharines-Niagara, St. Catharines-Niagara services ads, jobs in St. Catharines-Niagara, pets for sale in St. Catharines-Niagara, St. Catharines-Niagara dating, St. Catharines-Niagara cars for sale.